We are the prominent manufacturer, supplier, trader, distributor and exporter of Lockout Tag. III. Tags are specially made as per requirement. IV.This LOTO Tags allows the workers to handle hazardous tasks at workplace with adequate safety. 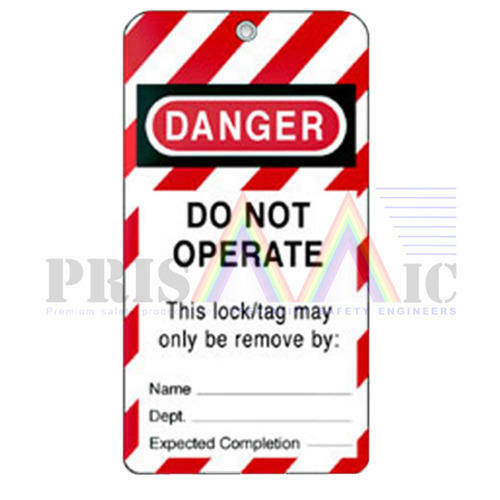 This Custom Lockout Tags finds its application in industries like Power, Energy, Railways, Automobiles, Aviation, Engineering and Construction. Our product is well known for its convenience to use, high strength, lightweight and high durability.